For decades, Pedro Point Headlands was the site of unrestricted off-highway vehicle (OHV) use, leaving bare scars and gullies. These created erosion into San Pedro Creek, impacting threatened steelhead and California red-legged frogs. It also resulted in landslides, which threatened to flow onto Highway 1 and the future California Coastal Trail area. While many scars have healed, some persist and continue to erode. 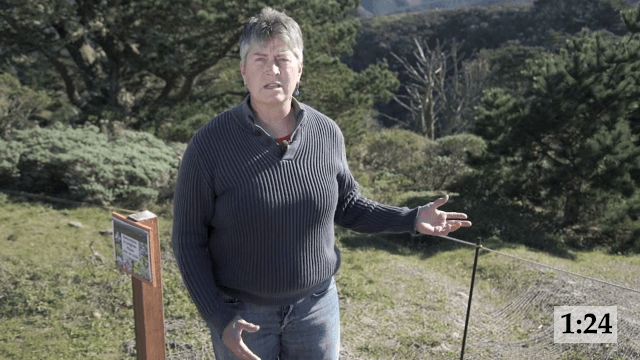 The Pacifica Land Trust is rallying the community to restore the beauty and health of the Pedro Point Headlands. Together with the community and our partners, we can restore this unique coastal ecosystem and improve the trails. Re-establish the natural topography and drainage in the highly eroded coastal bluff areas. Restore disturbed trails and gullies to Coastal Prairie and Coastal Scrub vegetation. The Headlands will be undergoing a $1.5 million Restoration and Trail Improvement Project during 2016-17. Links to plans and updates can be found on the back of this near Learning Station 1. The Headlands is also in the process of a ownership transfer from California Coastal Conservancy and the City of Pacifica to San Mateo County Parks. 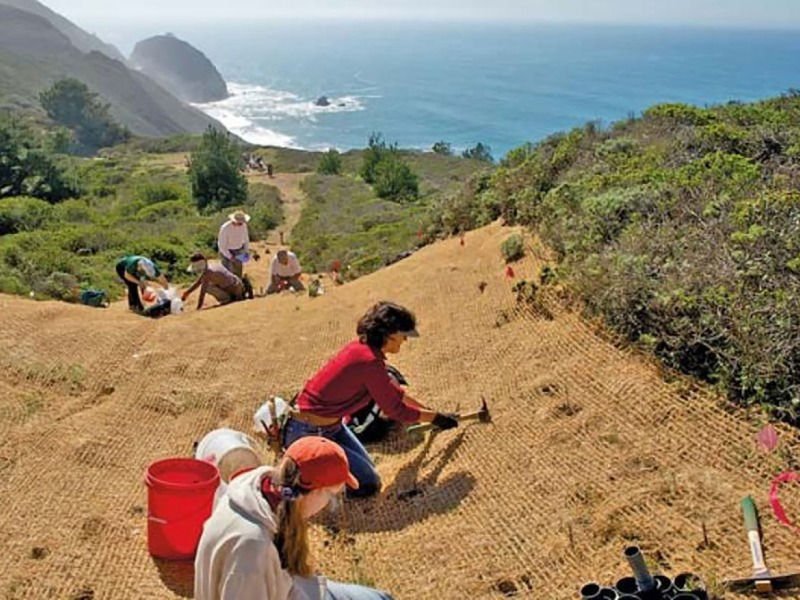 Hundreds of people over the past few years have worked very hard restoring the eroded slopes of Pedro Point, a 246-acre park that hosts a habitat now rare along the California coast. Invasive plants and trees — like French Broom, isolated Monterey pines and eucalyptus — have been removed to give way to coastal prairie and shrub land that is home to dozens of species of native plants and wildlife. Still, there's plenty more work to be done on the windswept bluffs overlooking Devil’s Slide.